Rising 5th thru 8th grade students only. 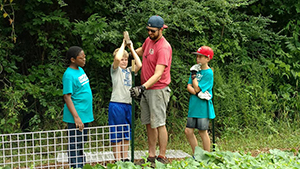 Learn-2-Serve is a three week summer camp for both girls and boys who are rising 5th—8th graders in the Troup County area. The camp will meet June 10 - June 28 Monday - Friday, from 8:00 until 5:00 pm. Lunch and snacks will be served. The Learn-2-Serve camp will meet at LaGrange College in the West Side School Nursing wing. The Learn-2-Serve summer program is a three week camp for rising 5th—8th graders. It will be led by master level teachers and graduate counselors. This camp will offer a blend of academic studies, physical education and service learning opportunities. 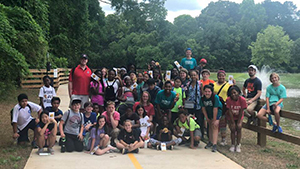 Based on the LaGrange College campus, this summer program is designed to align with the LaGrange College mission of "Challenging the mind, and inspiring the soul." Service Learning is a form of experiential education where students learn what is needed to fix a pressing community problem and then actually implement their innovative solutions. Learning to serve is an active and fun process that makes a difference in the life of our community through collaborative hands-on group projects facilitated by master teachers and graduate counselors. During Learn-2-Serve, each camper will develop physical skills through a wide variety of group and individual sports activities including swimming and fun at the LaGrange College Natatorium. The goal of the program is to provide students with an exciting learning environment that promotes mental, social and physical well being. Each student will participate in three academic classes during the morning session. Students will work together on projects designed to enhance student learning and retention. 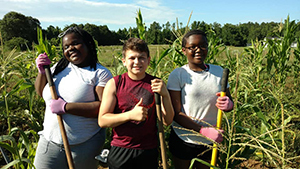 In addition, campers will learn new skills by employing service learning techniques which will not only enhance their academic studies, but also reinforce values and give them a deeper understanding of their new found skills. Classes will be taught by three highly qualified teachers who each hold at least a master's degree in the teaching field. Students will experience the enthusiasm and enjoyment of learning in a nontraditional setting. 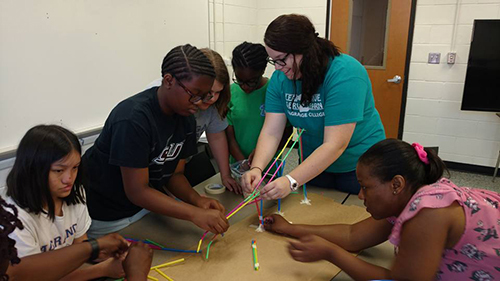 This summer program offers students many opportunities to build positive social behaviors related to forming and maintaining relationships, assertiveness in problem solving and critical thinking. Value will be placed on respect for individual differences. The fee for this three week summer camp experience is $295.00 which includes lunch and snacks each day, all materials needed for classes, and afternoon recreational activities. Multiple children discounts are available on a needs basis. Please contact Jana Austin for more information. To register for the Learn2Serve camp, please print, complete, and mail forms to Jana Austin. For more information, please contact Jana Austin at jbaustin@lagrange.edu or 706.880.8984.